We have had an ongoing issue with one tenant where everything is working fine and there are no errors in the queue or the logs. However, there is one very significant issue – the Project Center screen is blank. There is no grid, no listing of Projects – just a blank screen. If you click in the blank square area where the grid showing the schedules would normally be the ribbon did display – but all grayed out and with no choices or “click-ability” at all. It was working fine since the original installation and then it wasn’t – and the best we could determine is that somewhere a patch/update caused the issue. We are still unsure if that was server based, desktop based or browser based. Although, we did have an interesting time where some folks saw the Project Center and some did not – and we determined the browser version did make a difference. We did find a user with Chrome 58.0.3029.110 that was working until it got upgraded automatically to a newer version. 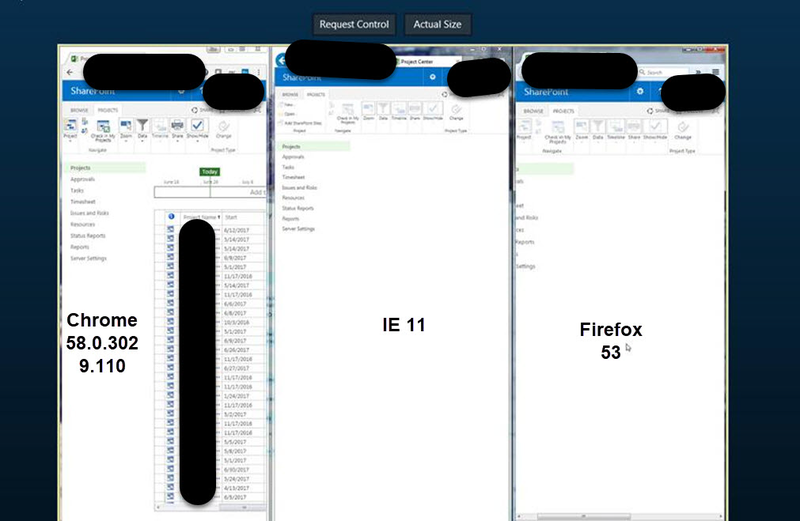 But, that same user, with Internet Explorer (11) and Firefox (53) on the same computer could not see the schedule listing. After deeper research Eric discovered that the Views table in the database were missing. After restoring an older version of the Views database tables (just the Views ones, not the full database) the Project Center grid came back. But, alas, a mere two days later, the Project Center was a blank page again. Finally, we could solve the issue by replacing PWA.en-us.resx file with PWA.resx file , in ..\Common Files\microsoft shared\Web Server Extensions\16\CONFIG\Resources Folder. So, for now, ours is working again (and I will update this note again if it has another problem) but if you find yourself in the same situation and use a different solution please let us know in the comments!